From the earliest days of her career, Yoko Ono has found practical solutions for dismantling the walls that art throws up around its objects. Her Cut Piece of 1964, reprised in 2003 (and documented herein), remains an ever-relevant act of role reversal and vulnerability. 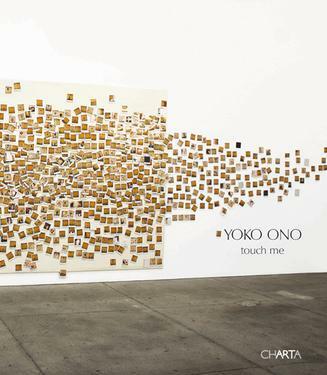 Touch Me is a suite of sculptural works that are activated and completed by the tactile participation of the viewer, with the same conceptual simplicity that characterizes so much of Ono's activity. "Touch Me I," for example, utilizes a sheet of fabric with numerous apertures, through which viewers are encouraged to peer, insert or reveal a body part, photograph it and add the Polaroid to a wall of similar contributions. This book documents these playfully interactive works, as well as other new and historical works by the artist. But--unlike so many books on performance-oriented art, which merely document--it is also a beautifully composed bookwork, reproducing Ono's classic instructions for the execution of her works alongside photographs and comments on the hopes and fears of her art in the present political climate.